“Chess gets a hold of some people, like a virus or a drug,” writes Robert Desjarlais in this absorbing book. Drawing on his lifelong fascination with the game, Desjarlais guides readers into the world of twenty-first-century chess to help us understand its unique pleasures and challenges, and to advance a new “anthropology of passion.” Immersing us directly in chess’s intricate culture, he interweaves small dramas, closely observed details, illuminating insights, colorful anecdotes, and unforgettable biographical sketches to elucidate the game and to reveal what goes on in the minds of experienced players when they face off over the board. 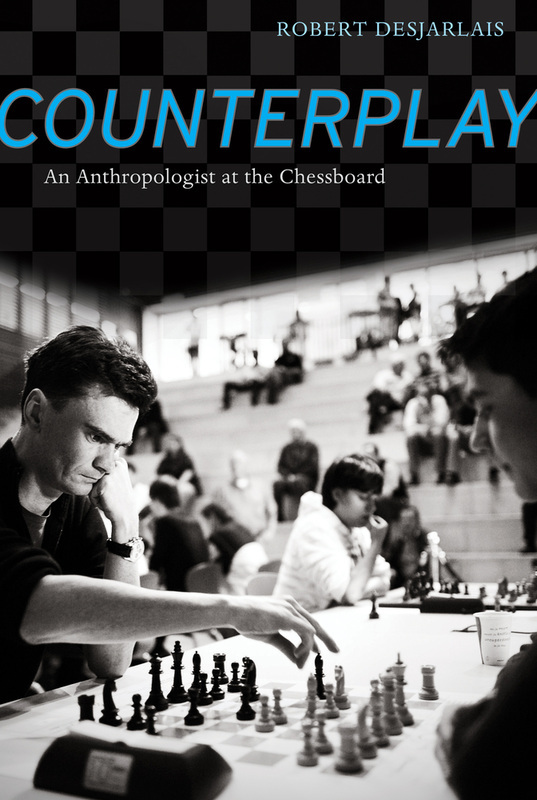 Counterplay offers a compelling take on the intrigues of chess and shows how themes of play, beauty, competition, addiction, fanciful cognition, and intersubjective engagement shape the lives of those who take up this most captivating of games.